We’ve been waiting a bit for this one, but we’re pretty psyched about it. 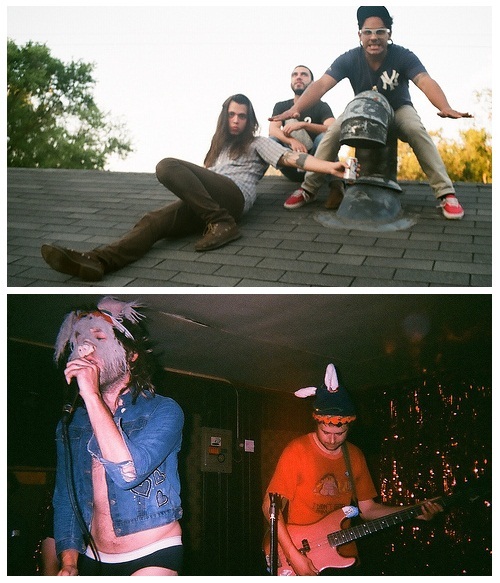 VICE/Scion are releasing the Nobunny/Jacuzzi Boys split tomorrow [not sure how many copies of this they’ll get over at Grimey’s, but you oughtta hit it up if you’ve been keeping up with the series] We’d also like to take a time-out to show some similarities between J-Boys and the Nobunz: both had killer 2009 albums [No Seasons, First Blood] both are booked by our old buddy Peter, both have live LPs from Third Man Records [Jacuzzi’s isn’t out yet, but still], both know how to rock and to roll, and both love Nashville. So we guess it’s only fitting that they do a split 7″ with each other. Check out the tracks below.